This is the Cantoalegre’s newest line. It was born by the hand of our virtual interactive portal www.musicalibre.com.co, as new means to generate content based on new technologies and audiovisual formats. 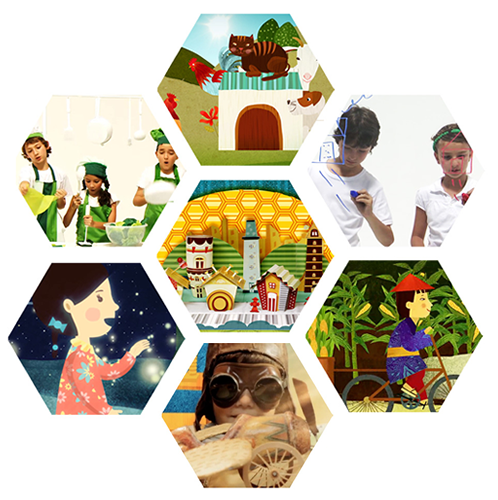 Cantoalegre features its own animation studio, called Veo Veo with its producers, writers, illustrators and animators, who work constantly in the development of new content for kids. Animated series, karaokes, videoclips of our songs, animated stories, interactive games and apps are some of the products that have been developed in our studio.